I had THE MOST AWESOME Saturday night and so did thousands of people! 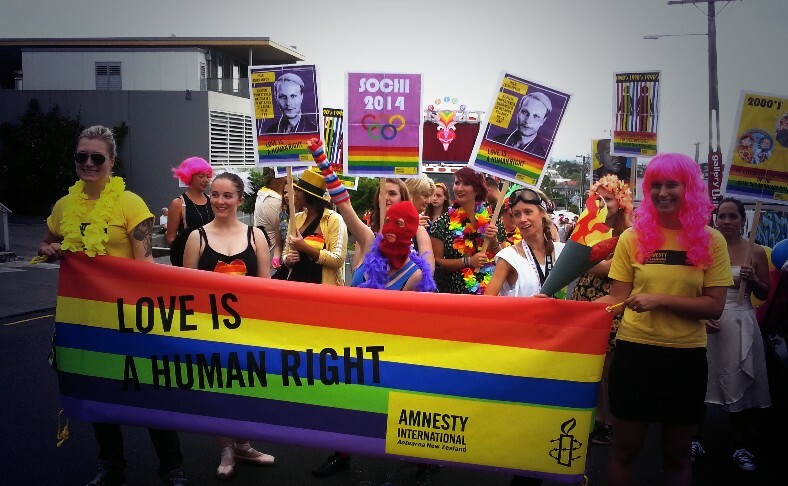 It was the second ever Pride Parade in Auckland! (not including all the Hero parades we have had in the past!) It was the culmination of two weeks of <<insert superlative complimentary adjectives>> Pride celebrations! I marched with the Amnesty Aotearoa crew as a UNICORN! You can probably google the official take on things, but from where we stood (number 11 in the queue) it was great! We even had a chance afterwards to walk down Ponsonby Road in the other direction, incognito, watching the rest of the floats. There seemed to be more floats this year, which made it much more para-dey and less march-ey on last year, so I can only imagine how much bigger and more awesome it’s gonna get! WELL DONE on everyone involved! And here’s to 2015! Previous Post Mainstream Music – does it matter?